Our award-winning Evolve Medical Record platform supports Digital Maturity programmes through removal of paper from the care process. Evolve Electronic Medical Records can be implemented on-premise, or as a cloud based as-a-service solution, helping you bring healthcare IT costs under control. Providing a solid foundation for the secure, audited storage and management of your patient documentation. Helping you move towards paperless working through replacement of paper-based information capture and routing. Avoiding "information overload", helping your clinicians focus on the most important patient information, providing high-accuracy automated identification of document types, specialties, dates, clinicians within the scanned content of the legacy casenote. In an environment where administrative support is often stretched, Evolve Digital Dictation enables the creation of correspondence and other documentation whilst reducing the administrative burden placed on your busy clinicians. Role-based security ensuring appropriate access to sensitive information, with comprehensive auditing helping you to meet stringent governance requirements. Whilst the road to digital maturity can start with on-premise Electronic Medical Records (EMR), forward-looking NHS IT managers are moving them to the cloud and looking for trusted partners to support EMR systems. To understand why cloud hosting with professional support is so important, we talked to IT managers to understand the challenges they faced. 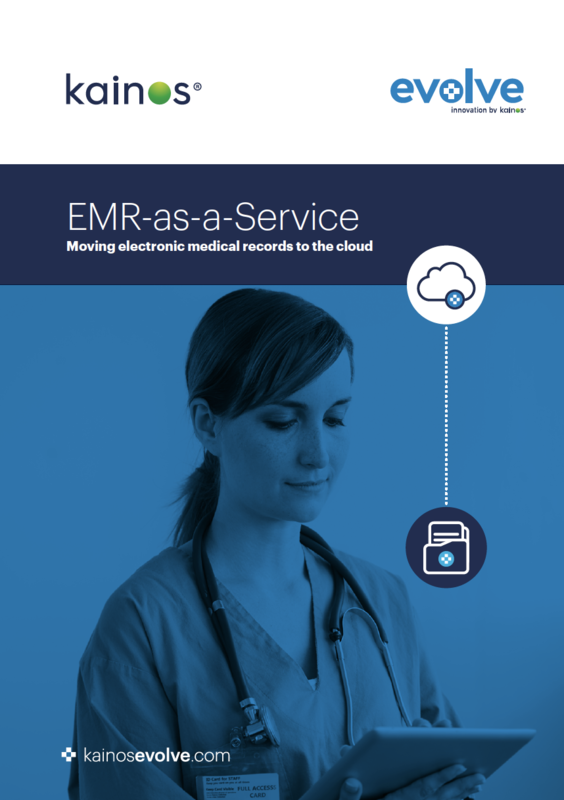 Read our white paper to find out the challenges faced, and how moving to a cloud-based managed service for EMR will help transform your patient care. "Evolve EMR is taking paper out of the equation altogether for direct patient and clinician interactions. This supports new ways of working that will result in safer and higher quality of care for patients"
If you are interested in finding out more about Electronic Medical Records please get in touch and one of our team will be delighted to talk to you about how Evolve can help you share patient records for collaborative, outcomes-based care.